Just picked up from local ESP dealer. 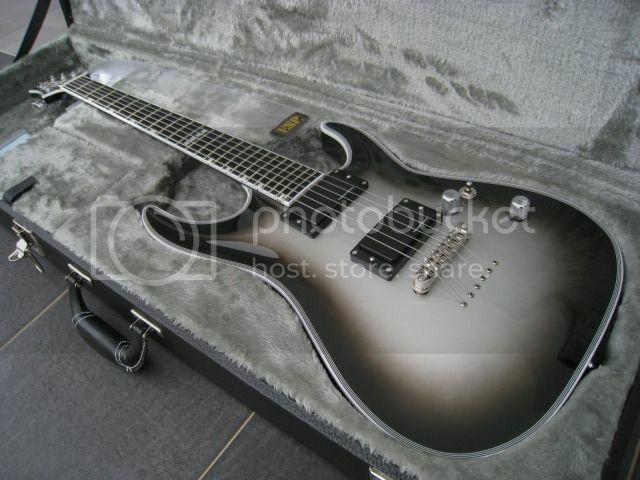 This is the 2012 ESP HRF NT Silverburst which is "special ordered" from ESP Japan. You wouldn't often see this color on this model. 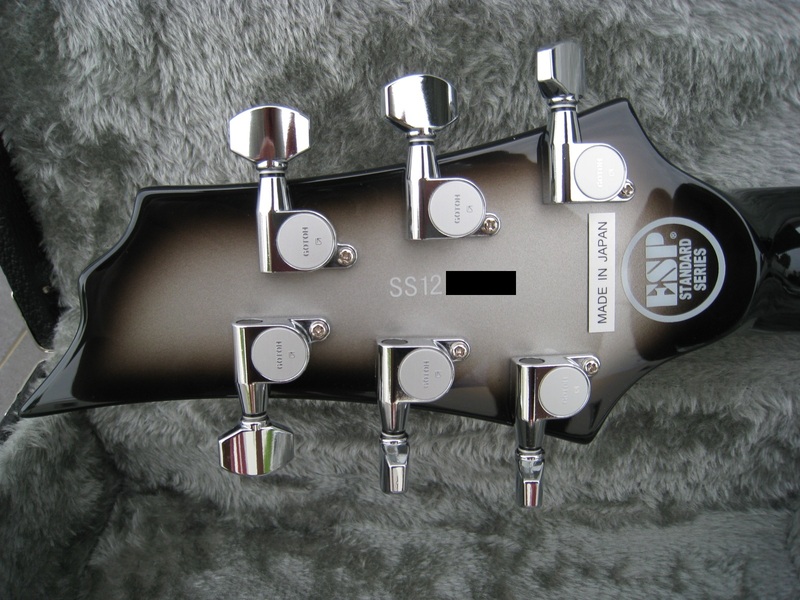 but I think the HRF headstock shape is much sharper than "Forest". with see-through black flame maple top/mahogany body wings at the same time as well. I am glad that I have made a good choice and never regret. ESP HRF has much more punchy focus bright mid tone. I think probably due to AHB-1 active pickups and alder/maple wood combination. Seymour Duncan AHB-1 Blackout active pickups. They sound aggressive, tight and punchy. Neck-thru maple neck and alder body wings. String-through body design with Gotoh Japan tune-matic bridge. Heavy and solid original ESP hardcase. Extra jumbo 24 frets on ebony fretboard. Year 2012 made in Japan. Gotoh "Magnum Lock" self-locking tuners. Scale 25.5" neck-thru-body maple neck for greatest sustain. For the playability, I don't feel any difference between HRF and Eclipse besides neck scale length. I think they share same neck profile. ESP HRF weights more and less around 7lbs which is nearly as my 04' ESP Eclipse. Maybe the neck-thru body maple neck contributes some weights. Shipped with ClearTone "Coated Strings" from factory. What a killer metal axe !